Micropiles transfer tension or compression forces as well as cyclic loads into the ground via skin friction according to EN 14199. The TITAN micropiles have been approved by DIBt (Deutsches Institute fur Bautechnick) for permanent applications. The DIBt are the German equivalent of the BBA (British Board of Agrement), both of which are members of EOTA, the European Organisation for Technical Approvals. The hollow bar simultaneously acts, as the drilling rod, injection tube and reinforcement for the micropile. The TITAN system can be used in any type of soil, including unstable soils, without the need for temporary casing. Injecting a cement grout through the hollow steel tendon ensures that the borehole is filled from the bottom to the top. Additional operations such as inserting and extracting casings and complex multi-stage grouting are unnecessary. The system is fast, simple and flexible. The installation minimises noise, vibration and spoil. There are many potential applications, including foundations, underpinning, resisting uplift, dynamic/cyclic load applications and geothermal installations. Dynamic pressure grouting of the TITAN micropile produces a grout body that interlocks with the surrounding subsoil. TITAN hollow steel tendons satisfy the main requirements for the steel reinforcing bars, which means that an excellent shear bond is achieved between the tendon and grout body. 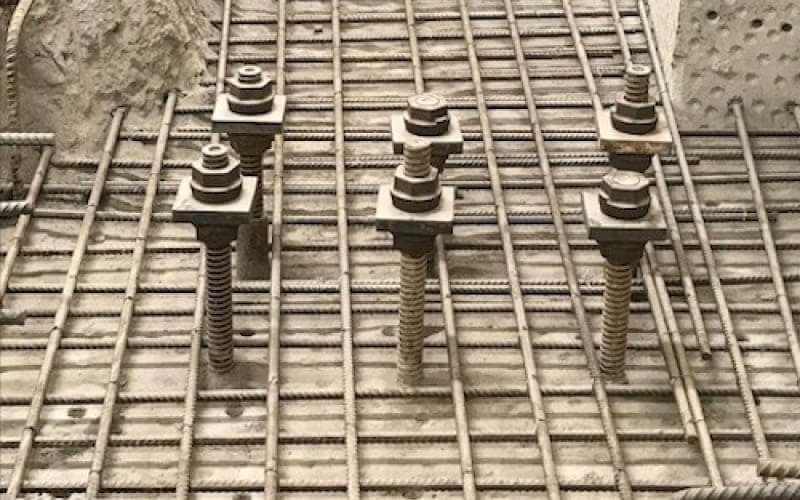 Controlled crack widths of less than 0.1mm within the grout, guarantees permanent corrosion protection and therefore TITAN micropiles can be used for permanent applications without the need for additional corrosion protection measures.